As Chairman and Chief Executive Officer, Mark’s responsibilities at KTP include business strategy, planning and overall operations and client relations. He has over fifteen years of experience in retiree health benefits across all market segments, specialties and functions. Mark has assisted many Taft-Hartley funds, municipalities, Fortune 500 firms, quasi-governmental entities, universities and various non-profits with benefit plan structuring, strategic healthcare consulting, contract negotiation, plan pricing, financial analysis and valuation. His areas of expertise include: Medicare plans of all types, healthcare exchanges, Employer Group Waiver Plans, contract negotiations, Health Reimbursement Arrangements, Voluntary Employees’ Beneficiary Association (VEBA) Trusts, section 115 OPEB trusts for municipalities and many others. Sharing his experiences beyond the offices of KTP, Mark has delivered presentations and participated on numerous panels at industry conferences. Prior to KTP, he was a senior banker with Broadview International LLC, a global mergers and acquisitions investment bank focused on the technology, communications and media industries. While at Broadview, Mark completed 29 transactions across multiple industry sectors. These included a broad variety of transactions such as cash tender offers, cash-for-stock and stock-for-stock mergers and acquisitions, minority investments, divestitures, asset purchases and cross-border transactions. Mark received a B.S. degree in Economics with a concentration in Finance from the Wharton School of the University of Pennsylvania. He also earned the Certified Employee Benefit Specialist designation from the International Foundation of Employee Benefit Plans and the Wharton School. 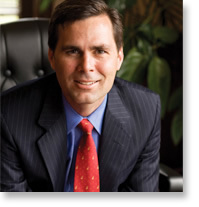 He is currently a Board Member of the Wharton Health Care Management Alumni Association (WHCMAA).